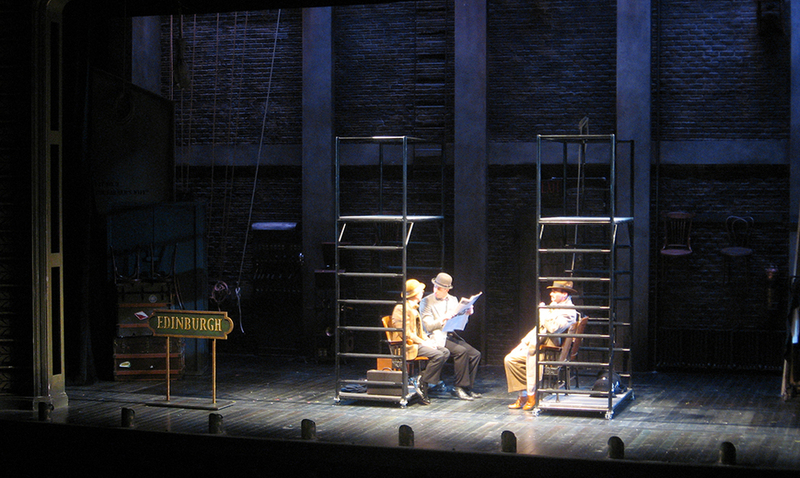 "To make all the legerdemain possible, David M. Barber has transformed the theater's thrust stage into an elegant gold-arched proscenium, complete with side boxes and a plush, red curtain trimmed with gold tassels. 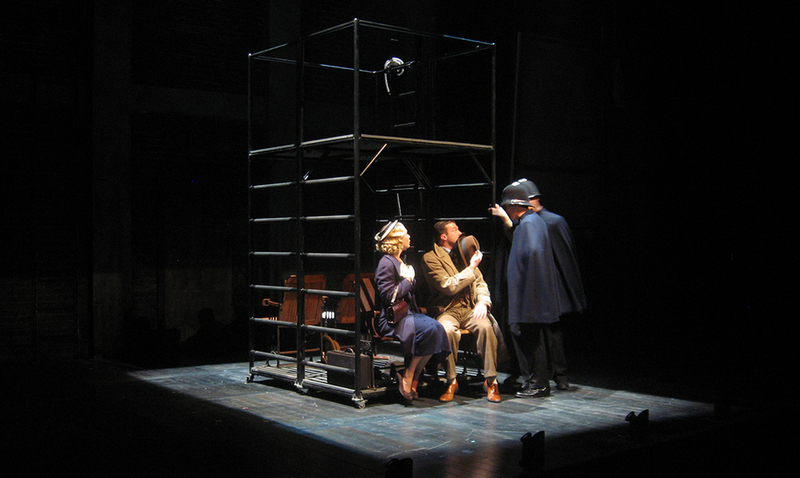 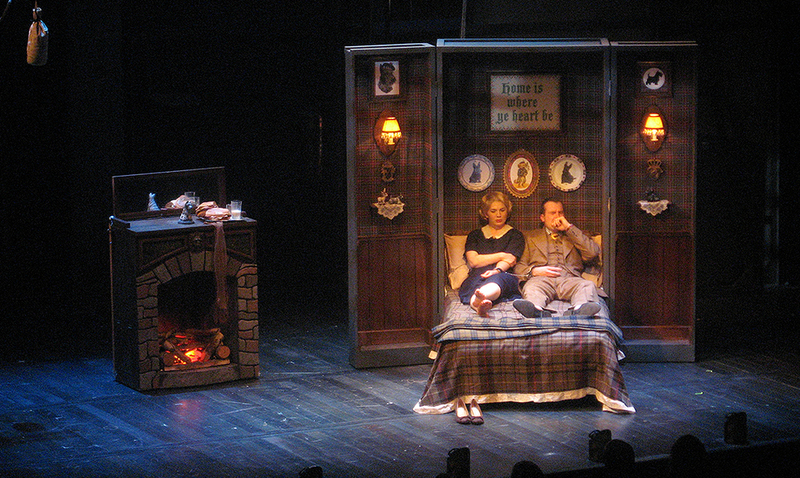 The curtain lifts to reveal a bare stage fitted with a few props that will, with the help of Traci Klainer Polimeni's lighting, stand in for the London apartment of our handsome hero, Richard Hannay; for the train he takes to Scotland when he becomes accidentally involved - or, as one of the story's shifty foreign characters would have it, 'inwolved' - in a dangerous spy plot; and for the assorted lodgings, bogs, bridges and police stations through which he must pass before saving England from dastardly evildoers." 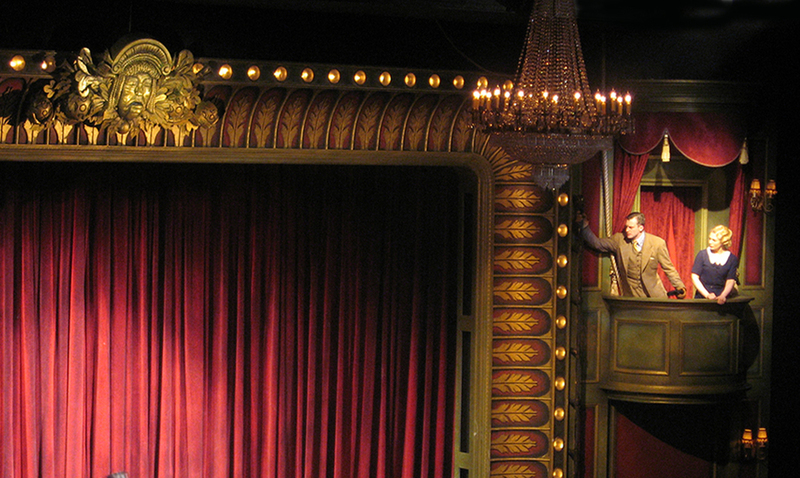 "...director Maxwell Williams comes up with some wonderfully silly stuff of his own, nicely assisted by David M. Barber's design (the play winks at the audience even before the show begins in a sly Hitchcockian pre-show announcement)."